Shirts With Random Triangles: Alabama redefines sweat as being "just your fat crying." 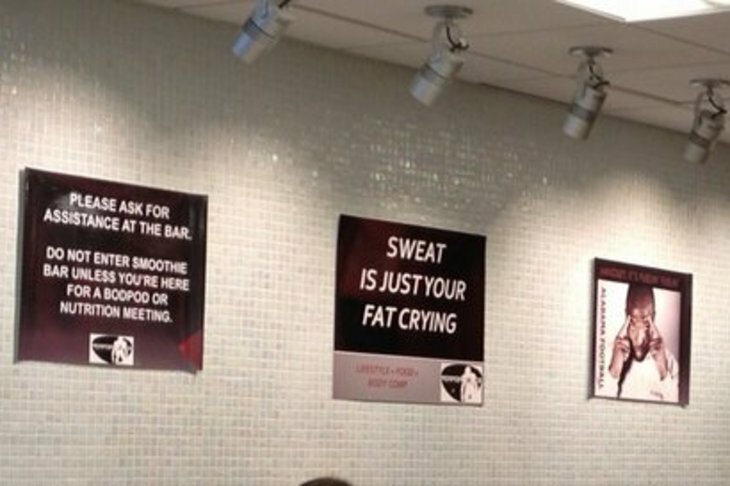 Alabama redefines sweat as being "just your fat crying." Okay, The sign in Alabama's new $9 million-dollar weight room is original. But admit it, isn't just a little...well, lame? Seriously, it doesn't quite match up to "Pain is weakness leaving your body" now, does it? I'd expect to see that sign in a Curves franchise, not an SEC weight room. Well, maybe in Vanderbilt's weight room, but Vandy's Vandy.